If you are looking for an elegant meal to serve on a special occasion, I have to say that a roast rack of lamb will certainly impress your guests. Yet it is one of the easiest meals to make! When you find out how simple it is to roast this crispy and juicy rack of lamb, a ‘special occasion’ will be whenever you see it on sale! That’s exactly what happened recently when my local supermarket had lamb racks on a Buy one, Get one free promotion. I simply could not resist. 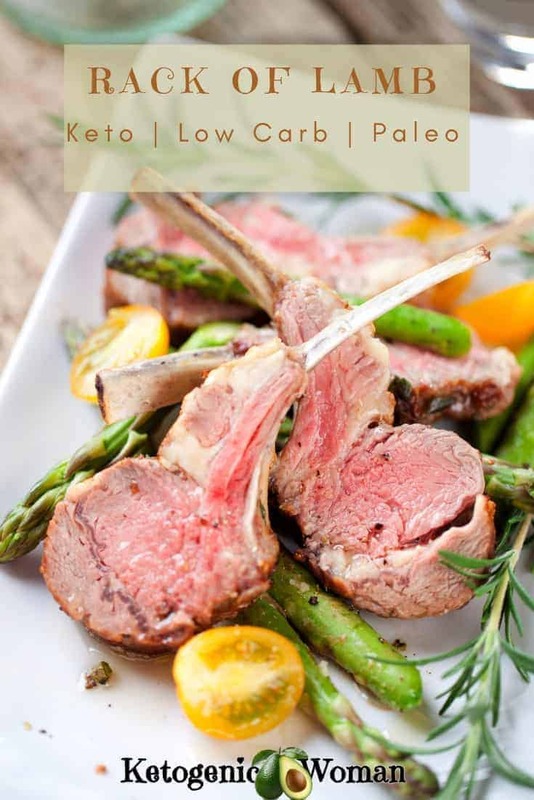 How perfect that lamb is zero carbs and all we need is a few simple things to make this a delicious yet impressive low carb keto meal. Want to know how healthy lamb is? Read the 5 Health Benefits of Eating Lamb here. What Herbs go well with Lamb? My favorite way to make a lamb rack is with a marinade of olive oil, lemon, fresh rosemary, garlic and thyme. But honestly, I love lamb just about any way I’ve tried it! many people like mint with lamb. Not me, but maybe it’s for you! What sides go well with rack of lamb when doing keto or low carb? There’s something about asparagus that makes me think I need lamb and vice versa! Roast some vegetables right in the pan! Think cherry tomatoes, asparagus, tender young zucchini and radishes. You can easily make this a one pan sheet pan dinner! For this recipe, I roasted asparagus right in the sheet pan beside the lamb racks. And I used lemon, garlic, rosemary, thyme and olive oil on the lamb. 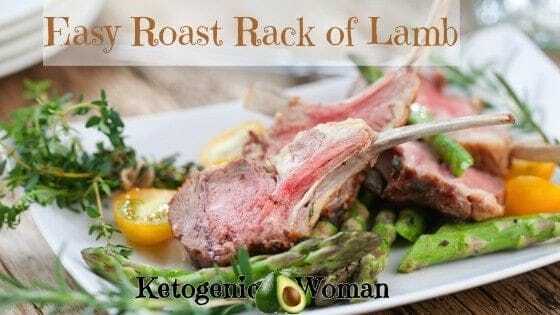 Juicy succulent roast rack of lamb is so ketogenic and so fancy! Yet it is quick and simple enough for a weeknight dinner. Roast veggies alongside for a sheet pan meal! Perfect Easter meal. Smoosh it around. Yes I think that's a legit cooking term. 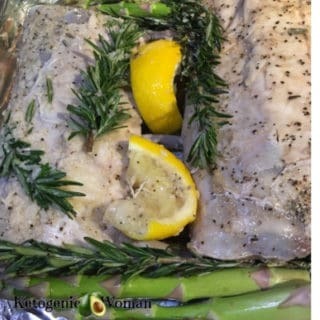 Allow the lamb to marinate for a couple hours or even overnight. Place lamb racks in roasting pan. Place rosemary sprigs in pan. Cook longer if needed to reach desired temperature. Cover with foil and let rest for a few minutes. Slice into lamb chops and serve with roasted veggies and cauliflower mash or rice. Tagged Keto Easter meal, Lamb. Bookmark the permalink.